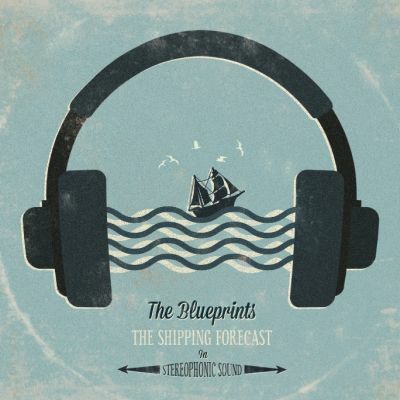 Indie rockers, The Blueprints, have come out strong and swinging as they release their new EP ‘The Shipping Forecast’ for download. The lads from York released the album on December 28 just in time for New Year. If you enjoy strong vocals, confident guitar and a catchy beat to boot, then what are you still doing sitting there? Get downloading! The Blueprints fuse indie and rock together almost effortlessly in these new tracks, with vocalist Stuart Allan passionately losing himself in the songs; he adds a certain truth to the already thoughtful lyrics. Alongside Stuart, bass guitarist Mark Waters compliments the other features of the music with his powerful riffs that hold the song together so you can hear every important note and fall in love with the tracks just like we did. Tom Williams on piano intensifies the depth in every song and, even though you may not hear it at first, his chords fill in the gaps of the story leaving you with a full experience that you can’t help but saying ‘wow’ to. Finally, drummer Russ Broadbent brings the whole piece together with complicated beats that have you up and bobbing wherever you are. 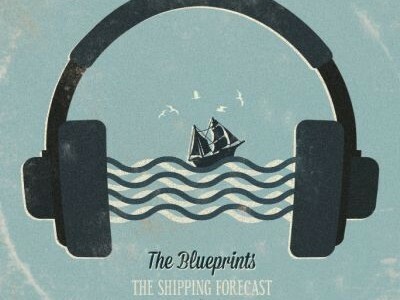 ‘The Shipping Forecast’ is a captivating, refreshing EP that brings indie back to life. The first track, ‘Walk’, sets the mood perfectly for the rest of the album, with a haunting opening guitar riff that will leave you entranced, begging to hear more. A favourite track containing a powerful guitar and drum rhythm, which is emphasised by the piano in the background, is ‘Staring At The Sun’. This song in particular allows Stuart to display his full range of vocal talents – some of which are not heard in the other tunes – and with an amazing instrumental in the middle we found it impossible to find anything wrong with this awesome melody. The album finishes with the calm yet memorable ‘The Amber Ocean’. A fusion between acoustic guitar and violin adds an ideal twist, and merged with Allan’s vocals this song is a flawless harmony to conclude the EP. Judging by this EP alone, we expect to see big things from The Blueprints.